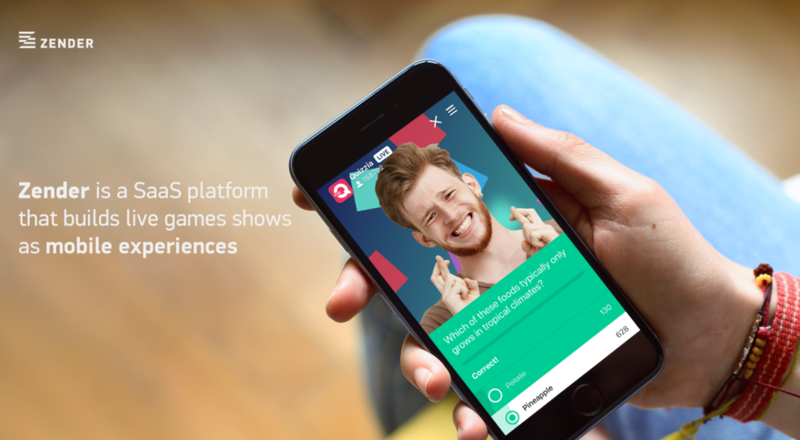 Every day at Zender we’re helping our customers reach their audiences with live presented game shows on mobile. We're looking for a Node.js Backend Engineer to help us as we build the future of interactive live video. Do you want to play a decisive role in an innovative young company with a solid list of first customers (Medialaan/De Persgroep, Studio 100, VRT, NPO Zapp, EO, LRT)? Are you comfortable with - or interested in - ReactJS, Redux, Docker, AWS services (Lambda, ECS, SNS, SQS, ..) and Node.js? Do you consider yourself a pragmatic engineer? We are looking for a talented full-time engineer to help us as we build live streamed content experiences delivered via mobile. You’ll work in a small engineering team (1 CTO, 3 developers), which means you'll have the opportunity to get to know every one of your colleagues, learn from them and share with them, and experience new things every single day. We need engineers who are passionate about creating value for customers, who want to try new ways to solve new problems, and who are able to get up and running from day one. familiarity with modern web practices (Promises), Node.JS, and have used at least one of Backbone, React, or Angular. experience architecting and administering NoSQL data storage & indexes.